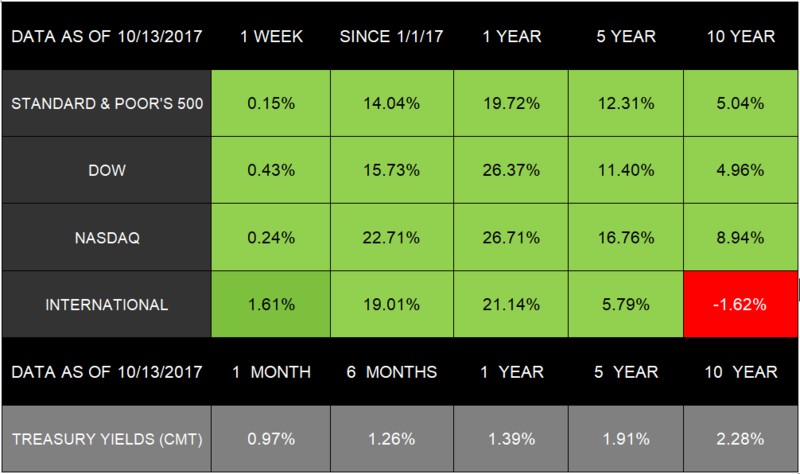 In addition to this new data, two key events contributed to the markets’ continuing growth: 1) a positive start to earnings season and 2) high consumer sentiment numbers. Investors exit markets for myriad reasons. But when emotion drives choices, rather than true strategy, those decisions can have a lasting affect on long-term goals. If you have questions about how the markets are performing—or what choices you should be considering right now—we are always here to talk. Coat a large-rimmed baking sheet with cooking spray. Arrange chicken on the baking sheet. Mix together cumin, cardamom, cinnamon, salt, and pepper, and sprinkle over the chicken. Place chicken in oven and roast for 35 minutes or until cooked thoroughly (165ºF). Toss together cooked couscous, roasted peppers, almonds, raisins, and green onions. 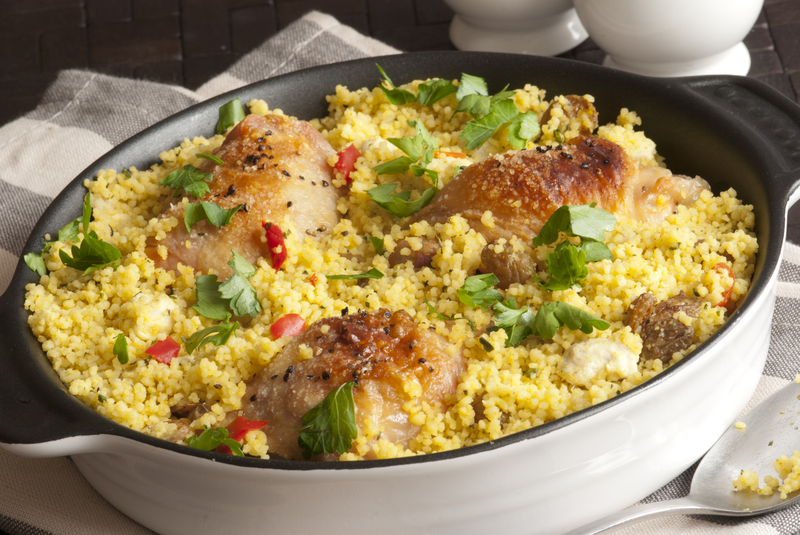 Serve chicken on top of seasoned couscous. If you’ve experienced a natural disaster, such as a hurricane, you may have to recover records in order to prove your losses. Doing so could help you receive federal assistance or insurance reimbursement. You may also need these files to help manage your taxes. Free Tax Transcripts: For those who completely lost their tax records, you can get free transcripts from the IRS. You can request them on the IRS website or by calling 800-908-9946. Mortgage and Other Home Documents: You may have to recover the documents proving your home ownership. You can request these documents from your escrow company, bank, or title company. Trust or Estate Documents: In order to recover trust or estate information, contact the trust attorney who supported these planning strategies. Damage Proof: If you experienced any damage to your home, it’s important that you document the damage as soon as possible. Take pictures or videos of all damaged rooms and home items. A wobbly putt can be wildly annoying. Despite lining up the shot and hitting confidently, the ball still goes off course. If the wobbles plague your short game, you may not be squaring your putter face. Its position will dictate your putt’s direction, regardless of how well you envision the line. Use a striped range ball and locate a straight 8-foot putt. Build a “gate” using two tees. Set the tees slightly wider than the ball and toward the hole by 18 inches. Line the ball so that the stripe is vertical and faces the cup. Take your shot, and watch to ensure the ball travels clearly through the gate in a straight line without wobbling. After a few putts, you should begin to see how squaring the putter face will help keep you steady. Brushing: Remove plaque and bacteria that can lead to cavities by brushing twice a day, 30 minutes to 1 hour after eating. Brush for 2 to 3 minutes before rinsing. Flossing: Dentists recommend flossing at least once each day to remove food that can stick between your teeth and turn to tartar. Be sure you floss around the tooth and within the gum lines with up-and-down movements. Rinsing: A daily rinse of antibacterial mouthwash can further help you kill bacteria. Either before or after you brush, swish mouthwash for 30 to 60 seconds. Bleach is a common item in many households and helps us to kill germs and keep our whites sparkling bright. However, bleach is also an abrasive chemical with health hazards, making it a toxic product to rely on. You can green up your lifestyle by using natural bleach alternatives. As a natural product, hydrogen peroxide is a sanitizer and disinfectant. It can also help you whiten your laundry. By adding lemon juice, you increase the whitening effects and create a nice scent. In a quart-size jar or other container, mix together the ingredients. For laundry, add 1 cup of the solution to brighten the clothing. If you’re scrubbing your kitchen or bathroom, toss in another ½ cup of hydrogen peroxide.